. If you’re a proud fan of evening feasting and local cafes, your ultimate combo has just been born in the burbs. 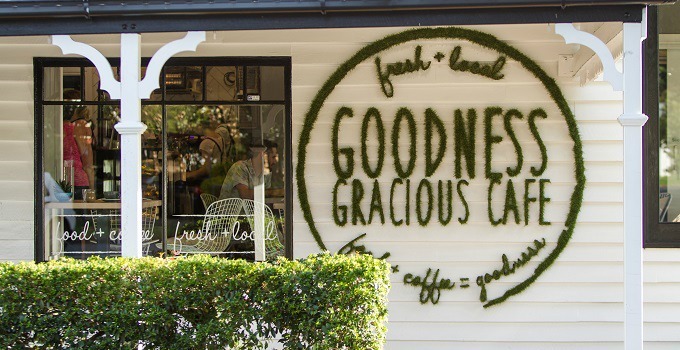 Goodness Gracious is Graceville’s go-to, known for being an Instaworthy, pet friendly café that pumps out delicious daytime eats. But their newest project has incorporated dinner into the works, and we can assure you that it’s a winner winner. Available every Friday and Saturday night, you’ll be biting into innovative modern Australian fusion dishes in a super chill space. We’re talking a courtyard with fairy lights, and an interior with a contemporary fit out. The menu is packed full of goodness, focusing on local produce and seasonal tastes. With offerings that change every six to eight weeks, you’ll be graciously spoilt for choice. Starting the night right is all to easy, with anything from cheese boards to bruschetta and share boards packed with coconut prawns, stuffed mushrooms, beef kofta and halloumi. 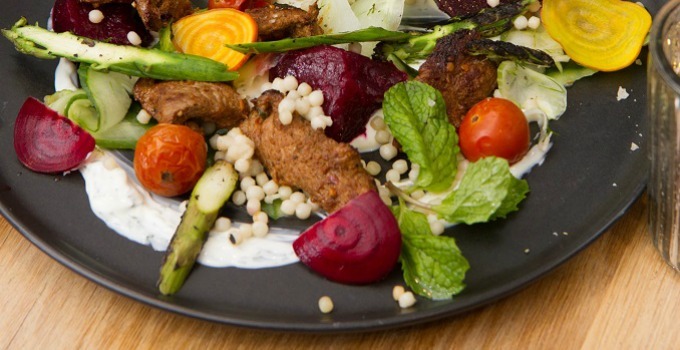 Current mains feature the likes of spinach tapioca gnocchi with charcoal chicken, pork belly with cauliflower puree and moroccan lamb with roast beetroot and asparagus. Dessert will truly be the cherry on top, thanks to the cafes extremely talented in house pastry chef! Dig your spoon into a chocolate waffle with blueberry compote, liquid cheesecake, strawberry pearls and berries. Did we mention that they’re all about BYO? Sip sip hooray! Ring in your next weekend at Goodness Gracious! We’ll see you there.